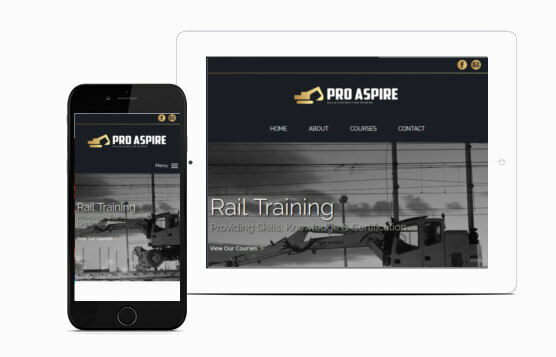 Pro Aspire Rail & Construction Training are a leading independent provider of accredited training, assessments and NVQs to the rail and construction industries. 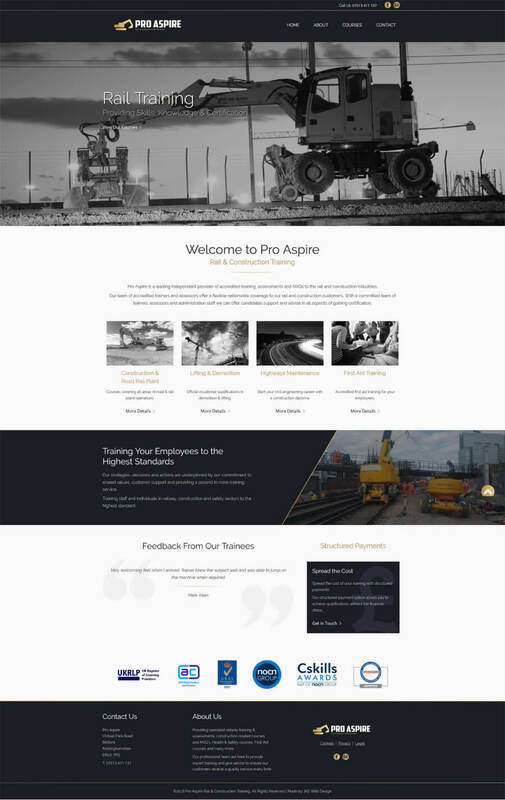 Pro Aspire were looking to create their first website giving them a professional web presence, providing an overview of the services provided. Using their existing brand we created a design to meet the expectations of Pro Aspire. An attractive landing page that captures visitors, provides clear details on what is provided by Pro Aspire, backs this up with previous customer testimonials and includes all the contact methods required to get in touch. The courses page includes a full list of courses with information on each to help users understand what is available. Built to allow future expansion without effecting the design structure and passing mobile friendly tests and page speed checks it retains its usability on all devices.